In our roundup of 2017's best and worst hypercars last year, we declared that the 5,007 horsepower, 16-cylinder Devel Sixteen was the worst of the group. Besides having a seemingly-undrivable amount of power, it was the worst offender in the current trend of small companies producing hypercar concepts and renderings and never actually building the vehicles, or building a one-off concept study. Thankfully Devel showed us proof that it wanted to produce its satanic supercar, but there are still plenty of startups out there generating a lot of hype but rarely ever a car. 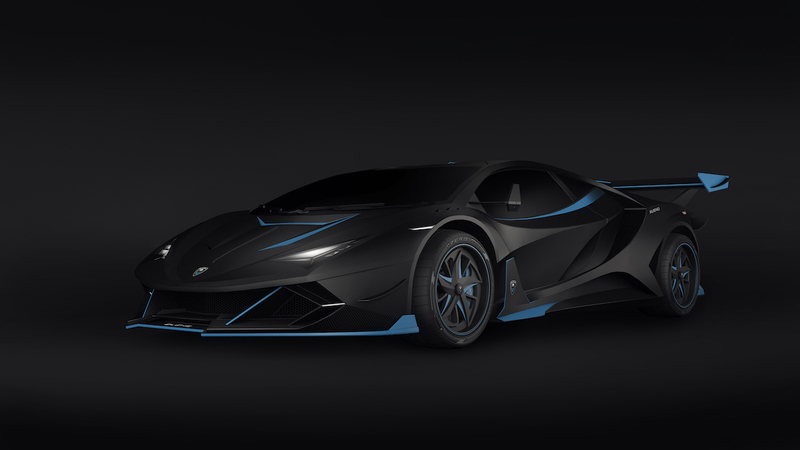 We're interested to see where the new Alieno Arcanum lands on the spectrum of hypercar fact or fiction. This Lamborghini-like vehicle was unveiled Friday by Alieno, which was founded in 2015 in Sofia, Bulgaria, and claims that it builds "hypercars from the future." Looking at the Arcanum's detailed press release, this car seems to be the real deal and not some alien conspiracy, although those videogame-like renderings aren't helping its case. The Arcanum, whose name means "the secret of the secrets" in Latin, is an all-electric, two-seater hypercar capable of 303 miles per hour in its most powerful form. Alieno is offering four variants of the car, denoted by their Raw Power (RP) indexes: the least powerful RP2 has 2,575 horsepower (mechanical) and 3,245 pound-feet of torque, the RP3 has 3,433 hp and 4,366 pound-feet of torque, the RP4 has 4,291 hp and 5,458 pound-feet of torque, and the top-tier RP5 has 5,150 hp and 6,549 pound-feet of torque. It looks like the new Tesla Roadster has some competition. This ridiculous power and torque output comes thanks to Alieno's direct drive powertrain, which features a minimum of three and a maximum of six electric motors (depending on RP) powering each wheel. This multi-motor system means the Arcanum has some excellent active torque vectoring and can provide all of its torque at any point in the rev range, from zero to maximum rpm. These motors are powered by Alieno's own battery made from a combination of Graphene LiPo cells and supercapacitors. Buyers can choose from three different batteries, each with a different role. The 180-kilowatt-hour Street battery pack provides maximum range at 634 miles, while the 120-kilowatt-hour Track battery is optimized to allow for several miles on the track and not much else. The 60 kilowatt-hour Race battery is used to shed the most amount of weight from the car. Depending on the battery used, the Arcanum can run one to three full laps of the grueling 12.9-mile Nordschleife circuit at the Nürburgring on a single charge. Another dimension to the Arcanum is what Aliena calls "modifications," denoting the car's homologation type. The Street modification is street-legal and homologated for global sale. The Track variant is an unrestricted vehicle designed exclusively for, well, the track. Arcanums in Race configuration adhere to the FIA's World Endurance Championship restrictions for the LMP1 class, as Alieno wants to race the hypercar at the 24 Hours of Le Mans. Every Arcanum will be made from a carbon fiber monocoque chassis with a Kevlar bottom, weighing from 3,571 to 6,349 pounds depending on the variant, battery, and modification. 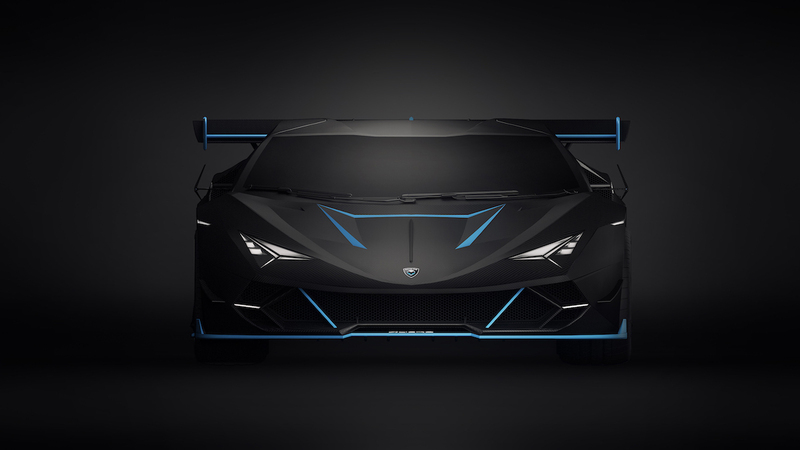 While the Arcanum might look like a weird cross between every hypercar Lamborghini has produced, Alieno's Chief Design Officer Encho Enchev says the company took inspiration from U.S. military jets like the SR-71 Blackbird, F-22 Raptor, and F-117 Night Hawk, as well as Darth Vader's helmet design. "Like everything else we do at Alieno, our goal with the model Arcanum was to create something unique, something that you do not see every day and something with unmatched performance," Enchev explained. "The Arcanum model combines sharp edges and smooth curves at the same time, which contributes to the creation of a unique and very distinctive design. The whole car looks like a sculpture and all the elements are actually functional and not just a decoration." "The challenge comes from the fact, that we not only had to do something extraordinary, in terms of the power of the car, which was of course very difficult technically in the first place but we also and mainly had to make it usable. What I mean by that is, that we had to utilize this power, in such a way, that it could be used by the car and the driver...And here comes the biggest challenge in creating this car, as we had to make sure we were creating a user-friendly car, which is drivable. Not only drivable but also pleasant to drive. Easy to drive, smooth, fun, enjoyable, safe or simply flawless. Superior in every way, to what we have seen or driven so far. Just perfect. Everything in this car happens logically. The maximum acceleration is easily achievable, by anyone who buys the car. The car is the safest one on the road in any term. It is amazingly stable and maneuverable...The biggest challenge was to make the car behave like a normal car, so it can give the most driving pleasure to anyone and thus help to provide the highest safety." 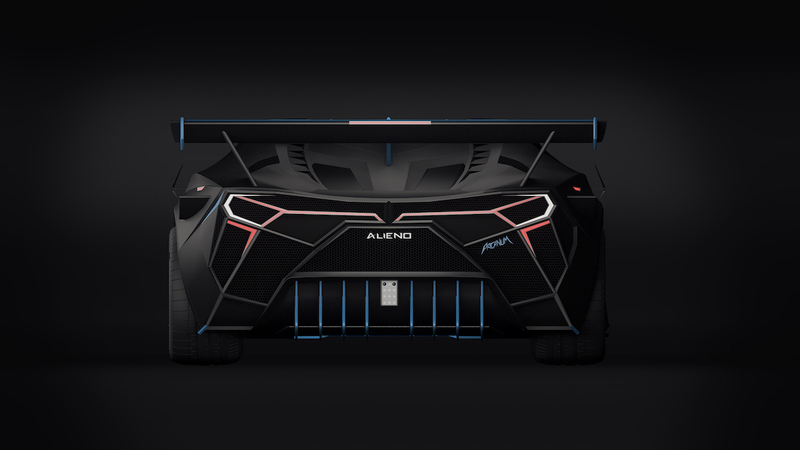 In addition to the battery and variants, customers can also choose their own wheels, rear wing, interior trim, steering wheel, seats, and other components that Alieno will reveal later. Each car is hand-built at the company's factory in Bulgaria. Pre-orders for the ARCANUM are available now, with prices starting at about $882,000 for the RP2 and reaching $1.8 million for the RP5.